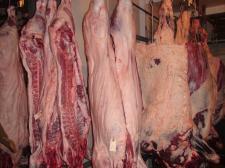 We are a USDA Federally Inspected Meat Processing Plant! Cleanliness and Sanitation are a Priority at our establishment! For a butchering appointment please call us at 402-923-1010.